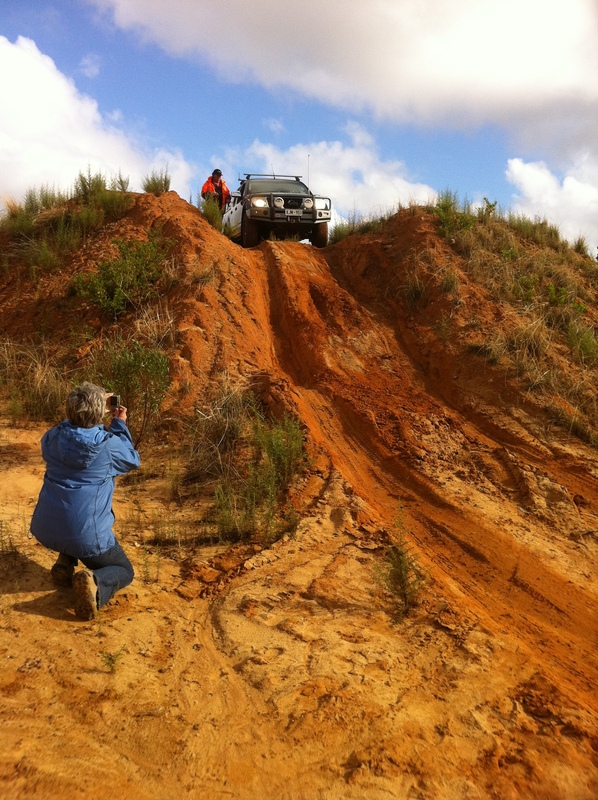 Want to learn how to use your 4 WD properly and safely? Wish you could go to those remote, rough tracks and trails but never had the confidence to take your vehicle there? 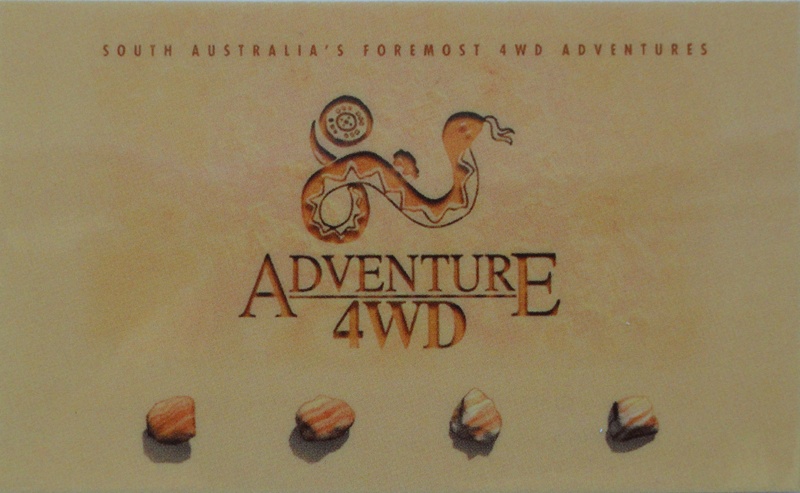 Then "First time out" 4 WD training by Adventure 4WD might be what your looking for! You get to watch other participants as well as tackling the course in your own 4WD vehicle. This excellent course comprises a mid-week theory session, followed by a full day practical on the Saturday of the following weekend. The three hour theory session is held at conveniently located premises at Collinswood with ample parking on site. The teachers are very experienced and knowledgeable and conduct courses for industry and the Government. The cost of the course includes a set of notes, certificate and discount card valid at a range of motoring and outdoor businesses. 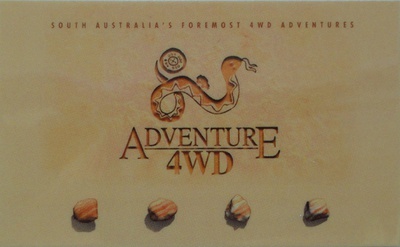 The Adventure 4WD discount card. 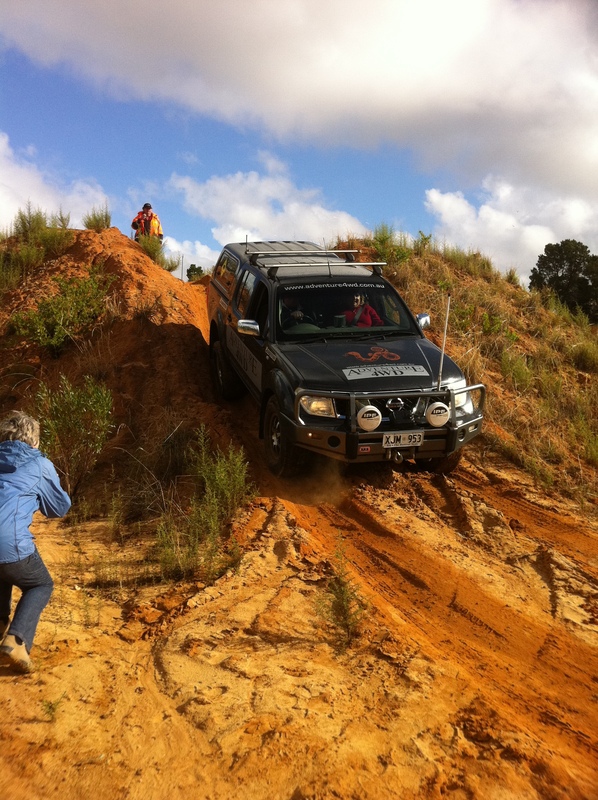 The theory session goes through the types of 4 WD's and how they work, dealing with different terrain conditions, use of gears, safety, tyres and maintenance. The following Saturday we ventured out to Lyndoch in the Barossa for a full day session on more difficult terrain at their purpose built course. Not only was it fun to take my vehicle through tracks that I never thought it could go, but the session was also insightful and practical. 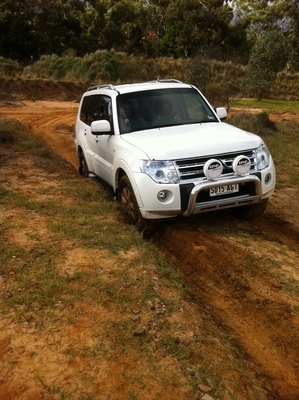 You learn the importance of gears and 4WD range, engine braking and throttle control, steering and vehicle positioning. The 'pinnacle' of the course. The instructor at the top gives you tips and a pep talk if needed before you descend. You also practice common vehicle breakdown and recovery situations, including getting out when you are impossibly bogged in sand, and the proper use of tow ropes. The licensed and accredited guides also conduct an examination of your vehicle to note its strengths and weaknesses, and show you what essential items you should pack when four wheel driving. At the end of the day, you learn tricks and techniques that would normally take years to accumulate, giving you more confidence in your own skills and your vehicles capabilities. Its much more comfortable watching than from inside the cabin!